Eye the tiger or else it could be you that’s what’s for dinner. This curious Bengal tiger is enjoying a swim and is twisting its ears towards the source of its interest. Unlike most cats, tigers enjoy the water and are never found far from it. Tigers are fantastic swimmers. Tigers back into the water as they do not like splashing water into their eyes. They are good swimmers and often cool off in pools or streams. Indochinese tiger numbers are in shocking decline across its range because of shrinking habitats, expanding human populations, and the increasing demand for traditional medicines, folk remedies and wild meat. Tigers are the largest felines in the world. 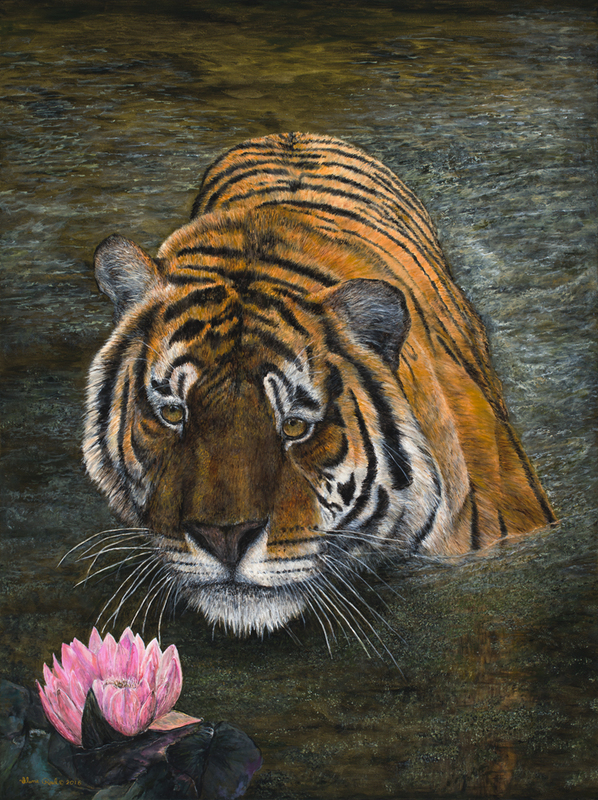 Many cultures consider the tiger to be a symbol of strength and courage.